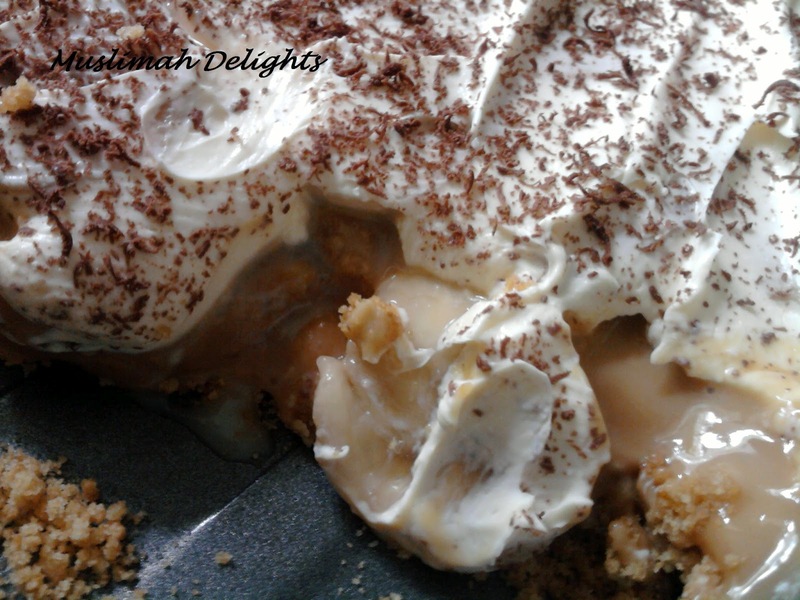 This Banoffee Pie is scrumptious and easy to assemble. 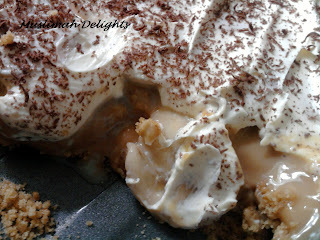 The banana with the crunchy biscuit and sweet caramel, plus shavings of dark chocolate make it the perfect treat. 1) Place biscuits in a bag and bash with a rolling pin (good therapy eh?) (or you could put it in a food processor, but be sure not to let it resemble powder). 2)Add the melted butter and mix. 3) Place into a baking tin and press down with a glass to compact it a little. 5) Layer the choppped bananas. 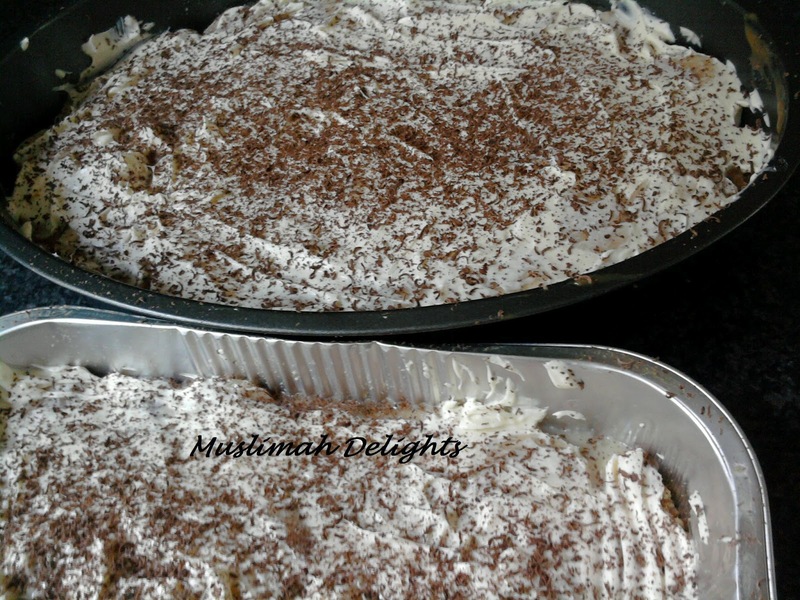 6) Spread the whipped cream (you can fold some chopped bananas in the cream too). Look forward to seeing the result :P Ramadhan Mubarak.